Oh là là! Pariser Chic im "Haarumdrehen"
Schlicht, elegant, hochwertig und mit einer Lässigkeit, die ihres gleichen sucht: Der mühelose Chic der Pariserinnen ist weltbekannt und hat sich über die Grenzen der Modemetropole hinaus zum Trendsetter etabliert. So sind roter Lippenstift, Trenchcoat oder das blau-weiß gestreifte Shirt zeitlose It-Pieces, die die Einzigartigkeit jedes Typs unterstreichen. Simple, elegant, high quality and with a transparency that is unparalleled: the effortless chic the parisians are known worldwide has established itself beyond the borders of the fashion metropolis to the trendsetter. So are red lipstick, trench coat or blue and white striped shirt timeless it-pieces that underline the uniqueness of each type. Der ProCare Auto Curler ist HIER erhältlich. Zu Beginn soll man die Tempratur je nach Haartyp einstellen und die Dauer in Sekunden. Danach nimmt man eine Strähne die auch vorher durch den Strähnen- Abteiler gepasst hat, dreht diese Strähne und legt sie in die Öffnung und drückt die Lockentaste. Der automatische Lockenstab wird von oben benutzt. 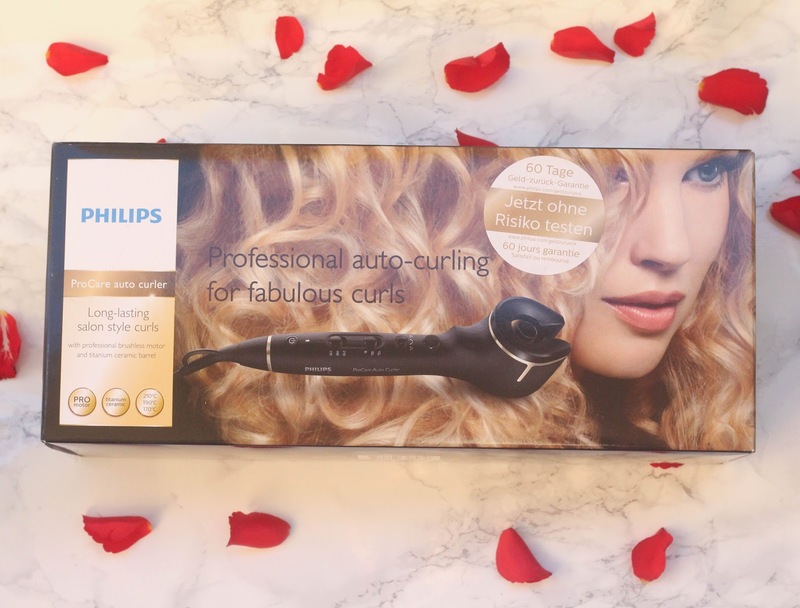 Der Philips ProCare Auto Curler wickelt die Strähne automatisch um den erhitzen keramikbeschichteten Stab der die Wärme optimal verteilt um glänzende Ergebnisse zu bringen. Die Lockenrichtung kann man auch einstellen entweder rechts, links oder abwechselnd (automatisch) damit das Ergebnis noch natürlicher aussieht. Es erklingen dann Pieptöne wenn man keinen mehr hört ist die Locke fertig und dann wird erneut die Lockentaste gedrückt um sie freizugeben. At the beginning you should set the temprature depending on your hair type and the number of seconds. Then you take a strand which has also previously fitted through the strand- divider, rotate this strand and put it in the opening and press the "curls button". The automatic curling iron is used from above. 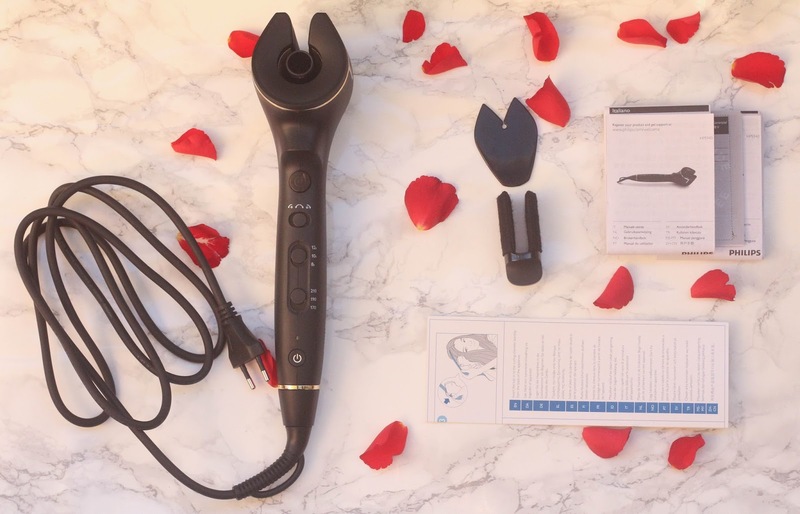 The Philips ProCare Auto curler automatically wraps the strand around the heated ceramic-coated rod which optimally distribute the heat to bring brilliant results. 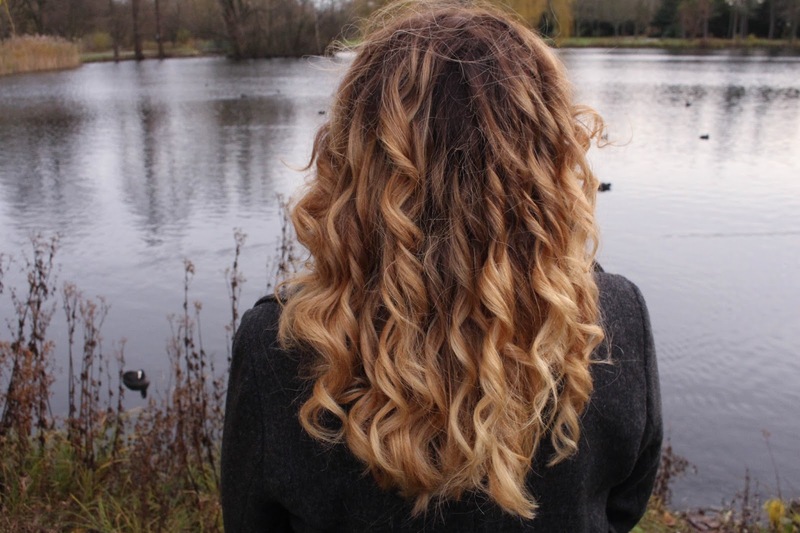 You can also choose the curls direction to either right, left or alternately (automatically) so that the result looks more natural. You will hear then beep sounds when you don´t hear them anymore the curl is ready and then press again the "curls button" to release the curly strand. I have very thick hair and my hair is also besides my bangs the same length. My roots have grown and my hair has also become much longer and now I have again like Ombre Hair. I was of course curious if it works with my hair, since my hair is heavy too and the curls easily hang out. 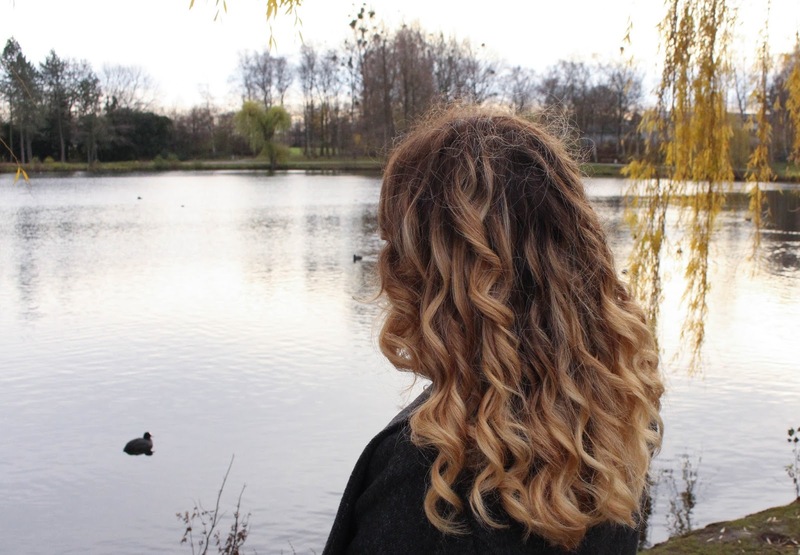 Ich möchte den Curler auch nicht mehr missen, das ist einfach der ideale Lockenstab für mich! :) Besonders gefällt mir, dass die Locken oder Wellen tagelang halten. ^-^ Einfach nur super!